Palettes seem to be saving my travelling shoulders at the moment. If I were to take my usual makeup bag with me when I was on my travels I would have a lot less room for shoes and a lot more weight to be carried around on my arm. Palettes make things much easier by having all the products you need in one teeny place, and this one from Beauty UK brings together an amazing eleven of them. The sleek package contains four eyeshadows, three bronzers, two lipglosses and two lipsticks all for the bargainous price of £3.79… that’s 35p each! Although the palette itself is a pain in the backside to open (it takes me about three minutes every time because the clasp is so stiff – NPD need to sort that out!) when you get inside you’re greeted by an array of bronzed shades to turn yourself into a summer Goddess. 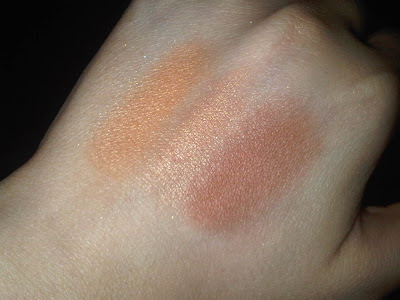 The eyeshadows are good quality for the price, giving you a relatively good colour pay off and a smooth finish. The darker shades are more pigmented, but overall the eyeshadows are a good base for any eye look and are perfect for day wear. These are definitely the highlight of the palette. 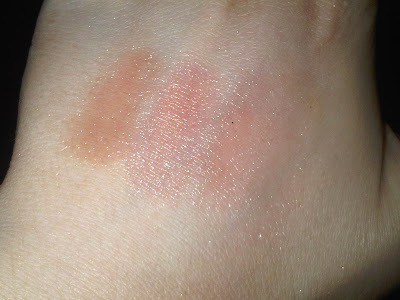 The bronzers are three very similar shades that create a subtle glow and can be built up for a more sculpted look. Like the eyeshadows the formula is soft, but it takes a bit of playing to get the colours right – I advise some colour mixing here to get a shade that’s perfect for your skin tone and also weather appropriate. These aren’t offensive but they’re also not really dark, so you may want to top up with something else for the evening. The lipglosses and lipsticks are all very similar shades. I’m not entirely sure which are the lipsticks and which are the lipglosses as the formula isn’t that different between them – all very sheer and creamy. These are my least fave out of the palette as they remind me a little bit of those freebie glosses you got with your Sugar magazine (do they still make that?!) 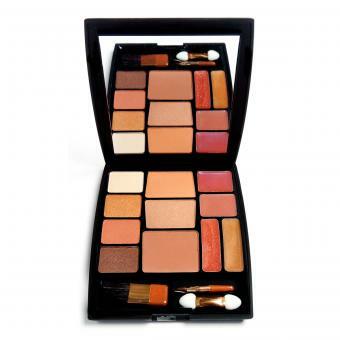 but at 35p each you can’t complain… They just make the palette complete by giving you the tools to finish your look. This isn’t the best palette I’ve ever come across by a long shot, but at £3.79 it offers a lot of products in one small package that would be perfect for throwing in your bag or taking on a long weekend away. I’ll be taking this to festivals over the summer as I know I won’t mind if it gets a bit of mud, cider or grass in it! The shades are all very universal and the formulas basic, but Beauty UK aren’t trying to be Dior – they’re trying to bring cheap products to the masses. This is what they achieve very well… Worth a look! I have to say that palette looks like the cheap make up found in the Argos catalogue circa 1999. 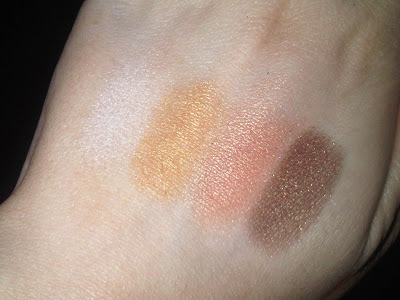 However, the swatches are gorgeous and for such a great price I think I will be picking one up. I'm sure it will come in very handy this summer! Your swatches are fantastic – loving the bronzer shades especially. And so cheap!! Yep, cheap as chips. The packaging isn't great but for the price you can't go wrong.